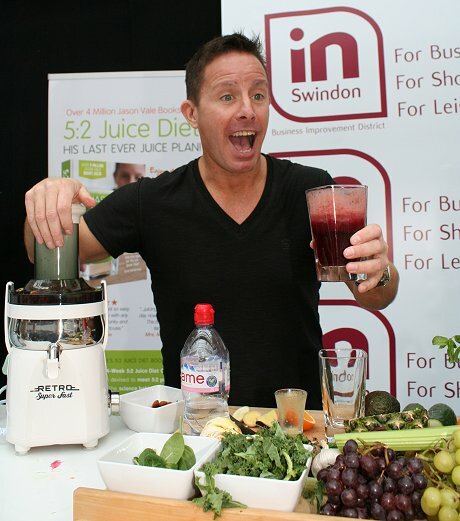 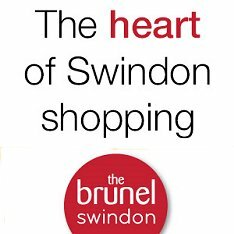 Front Page > Whats On > Juicing Up Swindon! 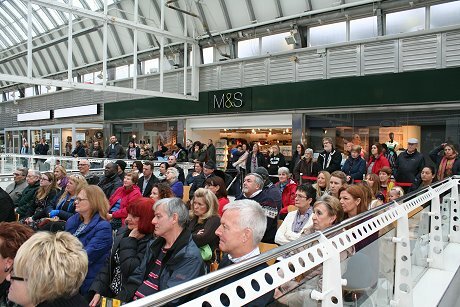 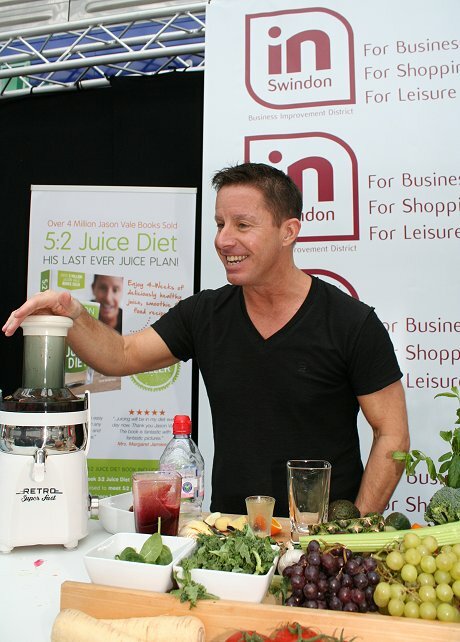 It was a healthy start to the new year for those visiting the Brunel Shopping Centre today. 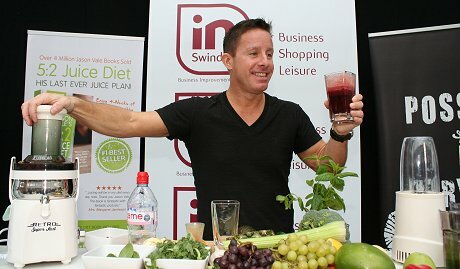 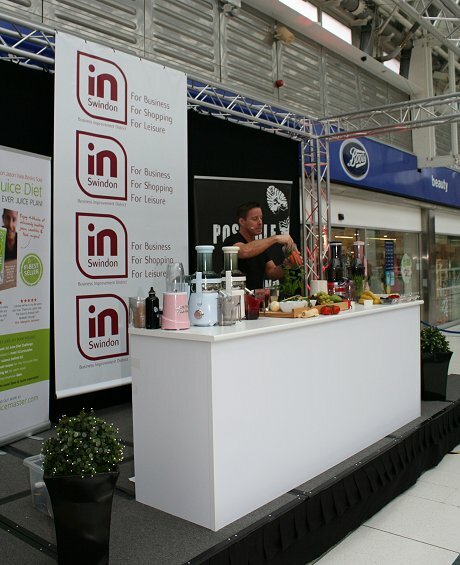 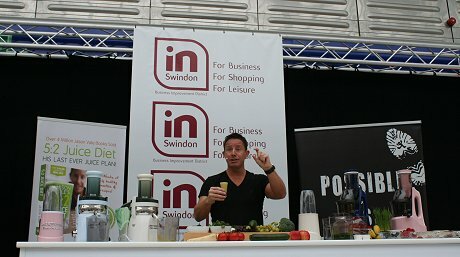 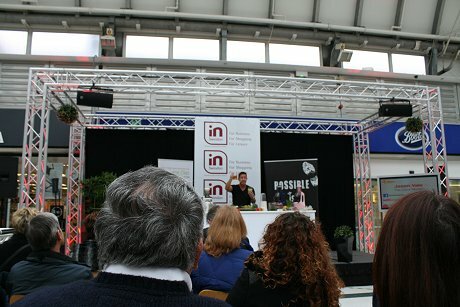 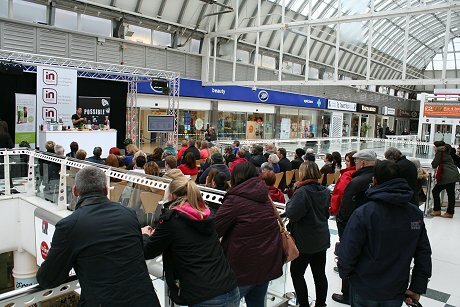 As part of inSwindon's New Year, New You initiative Jason Vale AKA The Juice Master gave a talk and live demos on the benefits of juicing before signing copies of his new 5:2 diet book at Waterstones. 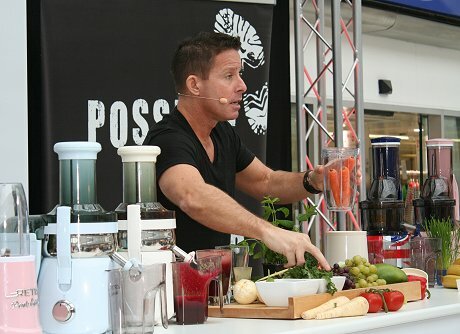 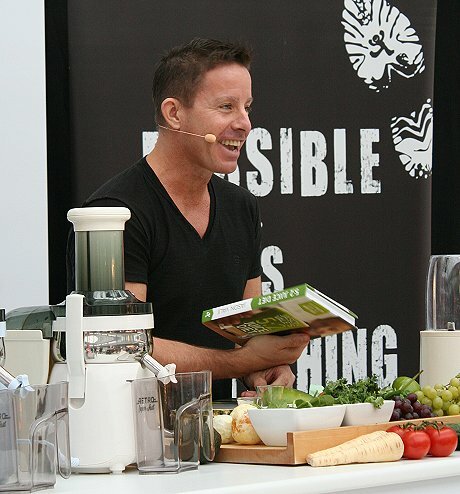 Jason is the world's number one name in juicing and his unique approach focuses on the right psychology and nutritional tools to make a healthy eating and weight loss easy and delicious for everyone.